Your all-access pass into the world of celebrity athletes. 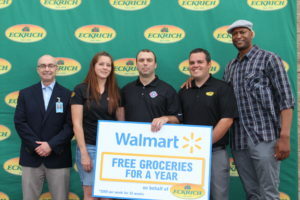 Former Syracuse University star and New York Knicks big man John Wallace helped thank a military family for serving our country on July 14 by joining Eckrich and Walmart in Rome, NY with our friends from Intersport. 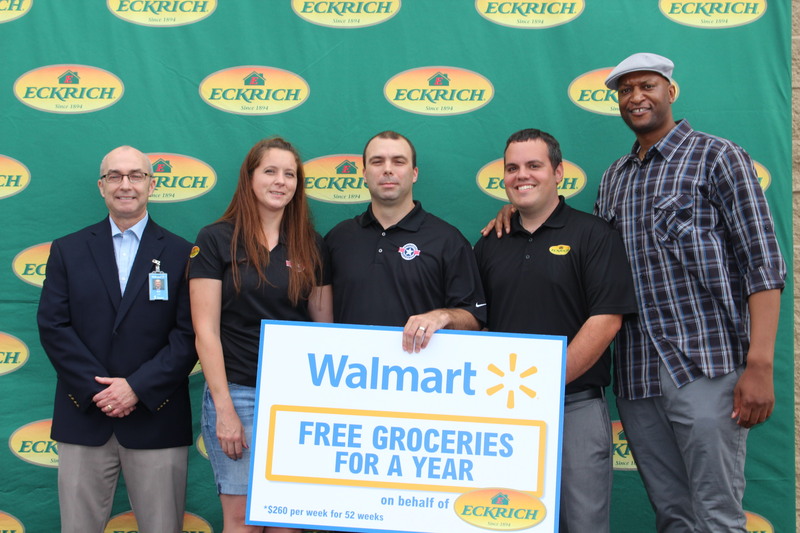 Wallace surprised the Jeremy Helton family with a gift of free groceries for one year at Walmart, courtesy of Eckrich. Wallace led Syracuse to a 1996 NCAA Championship game and was a first-round NBA draft pick. He went on to play seven seasons in the NBA. As part of the event, crowds of shoppers were treated to samples of delicious Eckrich smoked sausage and deli meat, live country music and an appearance by Utica Country radio station 104.3. In addition, Eckrich provided local military service members and their families with $25 Walmart gift cards to thank them for their service. Since launching its Veterans Welcome Home Commitment in 2013, Walmart has hired more than 130,000 new U.S. veteran associates and promoted more than 15,000 associates who are military veterans. Jeremy Helton served as a specialist in the US Army for more than six years. He earned numerous medals and awards for his service and time in combat. His wife, Sarah, is his caregiver and a member of Operation Homefront’s Hearts of Valor program. The family has two children. The surprise is part of the ongoing campaign by Eckrich to honor, thank and support military families through its partnership with Operation Homefront. Grizzly has supported nearly a dozen of these very special events with celebrity athletes participating as part of our #GrizzlyGiveBack initiative.